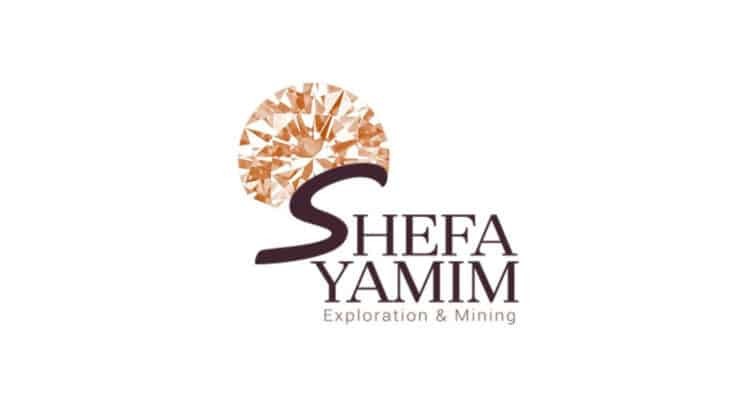 Shefa Yamim (LSE: SEFA), a precious stone exploration and prospecting Company in Northern Israel, is pleased to announce that the Technical Economic Evaluation (‘TEE’) of the Kishon Mid-Reach project has been issued. This report was compiled by Paradigm Project Management (‘PPM’), which led the breakthrough mine and processing plant design for Lucara Diamonds Inc at Karowe Mine (formerly the AK6 project) and more recently for Newfield Resources on the Tongo diamond project in Sierra Leone. The CEO of PPM Jeremy Clarke was also a former CEO of Gemfields plc and Consulting Metallurgist for De Beers. The main requirement of this TEE was to determine the potential technical parameters for the Kishon Mid Reach Zone 1 Precious Stones Alluvial Project and then complete a high-level conceptual study to derive the possible capital expenditure estimate and operating cost budget which would be used to assess the required in-situ value of this precious stones exploration target to ensure a financial return on investment. The mine can potentially process a total of 1.5 million tonnes of gravel over an 11-year Life of Mine (‘LoM’). The overburden removed would be 1.8 million tonnes. The operating cost budget over LoM has been estimated at US$26/t processed. The capital expenditure for the development of the mine using new equipment has been estimated at US$11.30 million. If contract mining is undertaken, the capital expenditure for the mine can be reduced to US$7.5 million again using new equipment; but the operating cost budget over the LoM increases to US$27/t processed. However, PPM has also identified a number of opportunities to significantly reduce both the capital and operating cost, which include using second-hand equipment, upgrading the existing plant, contract mining, expanding the mineral resource and most importantly increasing the mined throughput (‘economies of scale’). The latter has the potential to halve the unit operating cost to between $10-15/tonne. The Company believes that as it has already invested significantly in the processing plant and machinery, this will help it to reduce the operating costs significantly. In addition, the Company plans to make further upgrades to the new processing equipment already purchased from the proceeds of the IPO and hence only a further relatively low investment of up to US$1 million is required in order to double the processing rate to 100 tonnes per hour. Avi Taub, CEO of Shefa Yamim, said: “We are encouraged by the Technical Economic Evaluation for our Kishon Mid-Reach Zone 1 project which has provided the Company with a solid base case for the development of the Kishon Mid-Reach Zone 1 project. The independent TEE report suggests that the project is at the lower end of the cost curve, placing the costs on a par with comparable diamond producers and at the lower end of the precious stone producers.